Heaven has received a lot of attention in recent years as bestselling books and movies have told the stories of people who claim to have been there. But what does the Bible actually say about heaven? What difference does it make? What happens the moment after we die? 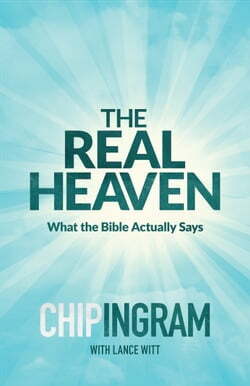 What will our relationships be... read more like in heaven?Chip Ingram sets aside the hype and myths and digs into the Scriptures to discover what God actually wants us to know about the hereafter. Most importantly, Ingram shows why our understanding of heaven matters now, in this life. Because what we believe about heaven actually affects us today in ways we may not have imagined.